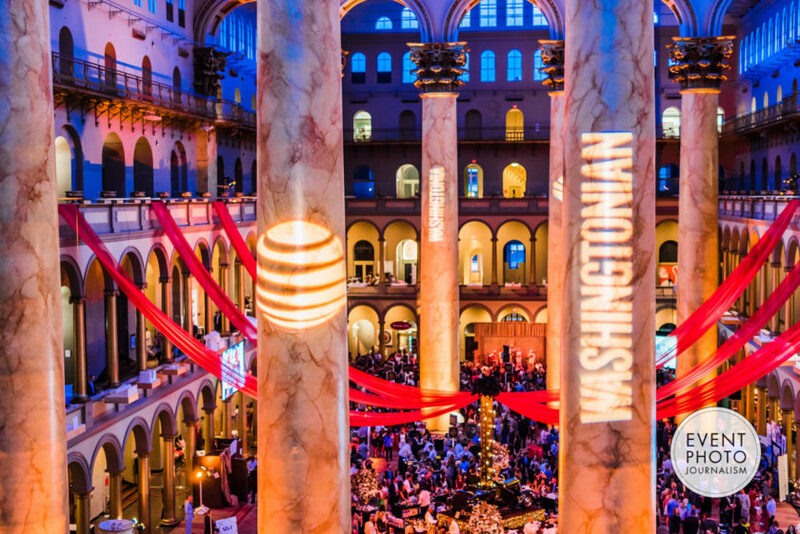 We had a fabulous time photographing the AT&T Best of Washington party on June 17, 2015 at the National Building Museum. The sold out event featured 75+ of Washingtonian’s top ranking restaurants sharing scrumptious food and drinks with over 2,000 guests. And did I mention all the tasty desserts? Yummy! Restaurants competed for first place in areas such as: favorite dessert trend, best cold soup, most creative drink presentation, best fusion creation, best use of shellfish, best fish dish, best cocktail, best meal on a tiny plate, best porcine snack, best use of an offbeat meat, best reason to forgo meat, best one-bite canapé, best throwback dish & best palate cleanser. And my personal favorite – Dessert! Dessert! And more Dessert! A portion of ticket proceeds and all funds from the silent auction at the 2015 Best of Washington party will go to The Leukemia & Lymphoma Society. PARTNERS: A. Dominick Events, Chicka, Booth-o-Rama, Elan Artists, Frost Lighting, Nomad Event Systems, Occasions Caterers, Select Event Group, Sperry Tents and Photojournalism by Rodney Bailey. There was so much to do, see, eat and drink at AT&T Best of Washington 2015 plus celebrity chefs, “candy” cigarette girls, gorgeous cars on display, photo booths by Booth-o-Rama, cigar rollers, trivia challenge, Carola Myers at the “lipstick bar” & so much more. And it wouldn’t be a party without Missy the pink tutu wearing Saint Bernard from Olde Towne Pet Resort! RESTAURANTS: Acqua Al 2, Aggio, Astro Doughnuts and Fried Chicken, Bangkok Golden, Bistro Bis, BGR The Burger Joint, BlackSalt, Blue Duck Tavern, Boqueria, The Bombay Club, Bub and Pop’s, California Tortilla, Cashion’s Eat Place, Café Rue, Cava Mezze, Compass Rose, Daikaya, Del Campo, DBGB Kitchen and Bar, Dolcezza Gelato, Denson Liquor Bar, DGS Delicatessen, District Doughnut, Dolci Gelati Truck, Doi Moi, Estadio, Elephant Jumps, Ethiopic Restaurant, Equinox, Et Voila!, The Fainting Goat, Flight Wine Bar, Ghibellina, Georgetown Cupcake, Graffiato, GypsySoul, Härth Restaurant, Haute Dogs & Fries, Iron Gate, Ice Cream Jubilee, Kapnos, Kogiya, The Liberty Tavern, Linda’s Luncheonette, Lost & Found, Lupo Verde, Met Bethesda, Matchbox, Mason Social, Medium Rare, Nage, The Observatory Rooftop Lounge, Olivia Macaron, Passage to India, PassionFish, Pearl Dive Oyster Palace, Pete’s New Haven Style Apizza, Ping Pong Dim Sum, Pizzeria Orso, Port City Brewing Company, Poste, Proof, POV Washington D.C., Rappahannock Oyster Co., Rasika Penn Quarter, Rasika West End, Republic, Restaurant Eve, Right Proper Brewing Company, Rogue 24, Ruth’s Chris Steak House, Spice 6, Sprinkles, Sushi Rock, Table, TaKorean, Taylor Gourmet, Ted’s Bulletin, Tico, Thai Taste by Kob, Toki Underground, Trapezaria Mediterranean Kuzina, Vinoteca, Vin 909 Winecafe, Water & Wall, Westend Bistro…and MANY MORE! Thanks to all the guests & foodies, sponsors, partners, restaurants and vendors that helped make the Best of Washington one of Washington DC’s favorite summer events. And a well deserved congratulations to Washingtonian Magazine for planning and hosting yet another unforgettable event. We can’t wait for next year’s party! Event Photojournalism at the National Building Museum for the 2015 AT&T Best of Washington event by Rodney Bailey.